It is Baseball Hall of Fame election results day and for those who care about journalism, it is a bleak day. The fact that baseball writers in 2019 are voting on what can be considered an honor and possible income enhancer for subjects they cover is a conflict of interest and is a black eye to the journalism professional. It never should have happened in the first place but back in the 1930s, the people behind the establishment of the Hall of Fame and baseball museum concept decided that baseball writers, since they in theory, saw every player at some point would be the best judges of who was the cream of the crop. It also served another purpose which sports organizers knew from the first day newspapers began covering sports events. They would get free publicity and it would continue as long as they allowed newspaper employees who covered baseball to vote. There were a few nuances in the voting, the voters would have to be members of the Baseball Writers Association of America and had 10 years on the beat. The Hall of Fame directors didn’t want radio announcers to judge because those announcers worked for a team or an advertiser and might vote for their team’s player. The Hall of Fame lives as if it is the 1930s when newspapers were king. Newspapers allowed their employees to vote despite the conflict of journalistic ethics. There are a handful of newspapers that don’t allow employees to vote on sports and entertainment awards. 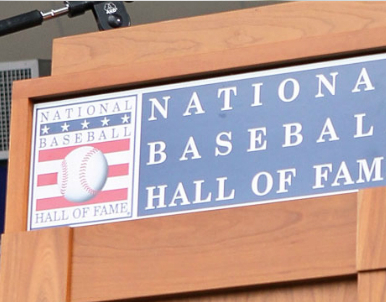 The Hall of Fame likes its rules, the baseball writers give them free publicity particularly in the winter months and that helps the museum’s annual attendance. The museum never cared about journalistic integrity but then again Cooperstown is merely a museum that needs publicity to sustain its purpose.